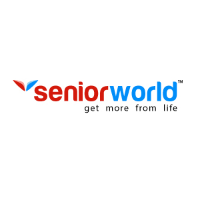 Senior World was started in 2015 by two Telecom Senior Professionals having experience of 45 years among them. Rahul Gupta, CEO was working as CSO at Airtel and MP Deepu, COO was working as SVP at Airtel. They have products in the categories of Telecom, Safety, Travel, Health, Wearables, Emergency Services and others. They also plan to build technology products on Mobile and Web platforms. Tenative date of interview: Will be communicated post registration window is closed. - Expected to work on any of these technologies - Android & Web Developments. - Should be a quick and adaptive Learner. - Have profound knowledge of any of these technologies Java or PHP. - Have Strong Aptitude and Problem Solving Skills. - Ready to work in a Startup Environment Humble, friendly, helping and accommodating in behavior. - Have deep interest, great inclination and a believer in Technology.Have a strong reasoning to why want to work as a Software Developer. - Only those interested in working in a Startup of highly focussed, quick delivery environment and in a small team should Apply. - Solutions-oriented thinking; always looking for the smart solution to a problem rather than. - Have the dynamism, enthusiasm, and attitude of working in a startup. - The inclination to learn and keep evolving and while having the right virtues and ethos of a professional.